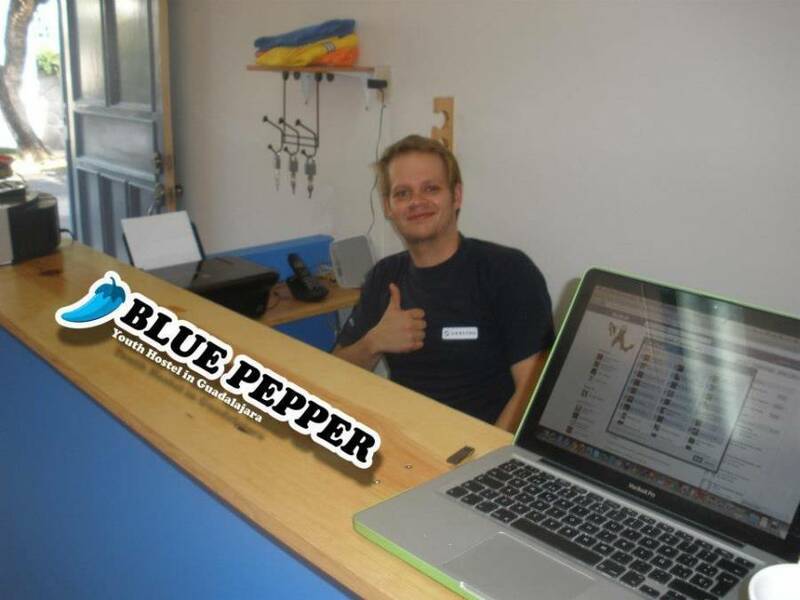 Blue Pepper Hostel has a great offer of 25 beds for all kinds of needs. Dorms and private rooms are available at the hostel for a very low price, all of them including FREE all-you-can-eat breakfast and services like Wi-Fi as well as free Internet access from our guest computer, 24 hr reception, satellite television, billiard, free maps, hot water and great deals with bars and restaurants in the area. We also have a big terrace for you to enjoy a good book or have a nice tan session. 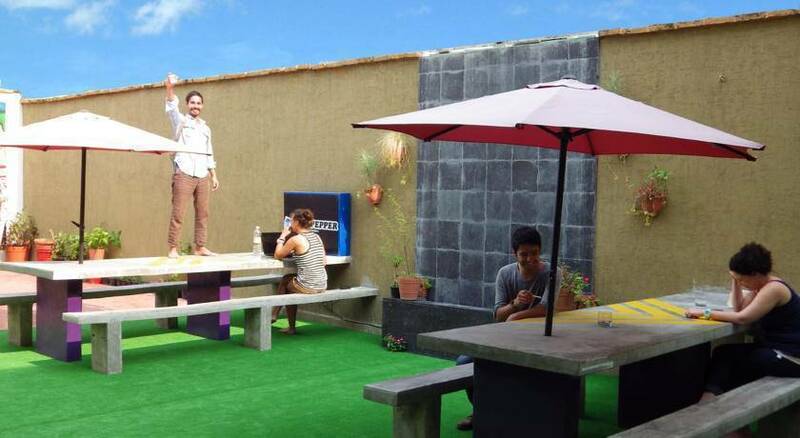 More than just a regular hostel, we work with a philosophy of interaction between our guests and the staff working here. We have learn over the years that are not the "places" but the "faces" that can make a traveler's experience something unique and different form any other adventure. 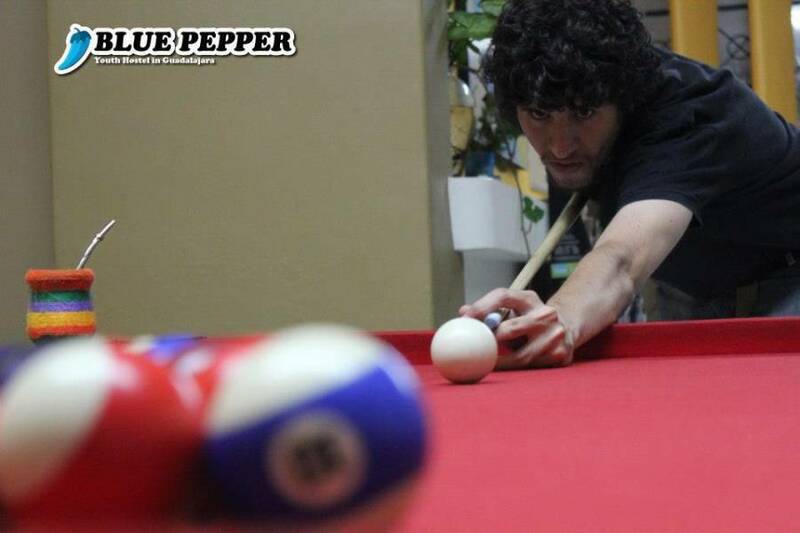 Dorms and private rooms are available at the hostel for a very low price, all of them including services like Wi-Fi as well as free Internet access from our guest computer, 24 hr reception, satellite television, billiard, free maps, hot water and great deals with bars and restaurants in the area. We also have a big terrace for you to enjoy a good book or have a nice tan session. We chose to build our hostel in the perfect location so you will have the advantage of moving freely to the most interesting areas of Guadalajara; the Historical center, full of the most beautiful, ancient and traditional constructions created and the Chapultepec area, known for having a great proposal of bars, coffees, art galleries and big cultural display etc. Customers can cancel their reservation free of charge up to 1 day before arrival (local time). *IT IS REALLY IMPORTANT TO TELL THE TAXI DRIVER WHICH STREETS CROSS WITH "ALFREDO R. PLASCENCIA" SO YOU CAN FIND THE HOSTEL FASTER, THOSE STREETS ARE : AV. HIDALGO Y JUSTO SIERRA NEAR CHAPULTEPEC AREA. At the bus station take the bus 709 direction downtown. Ask the bus driver to let you know when you reach the intersection of Av. Vallarta and Av. 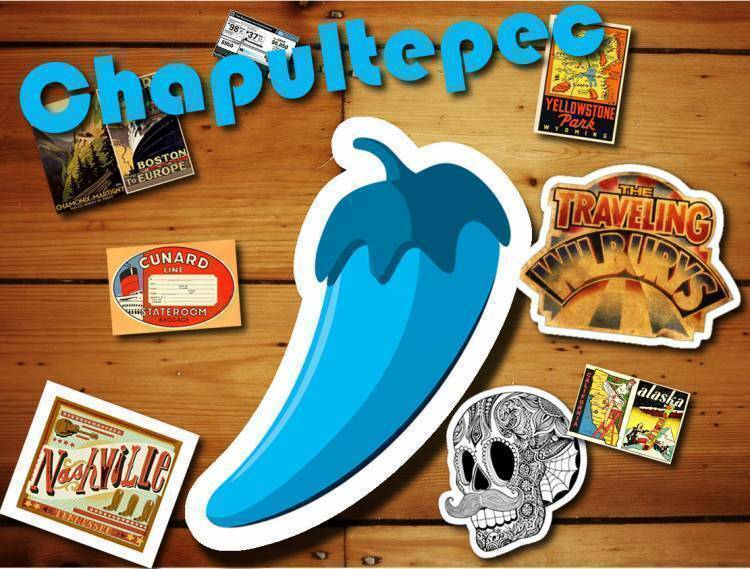 Chapultepec and get off there. Walk 3 blocks north direction of Av. Chapultepec and make a left in Av. Hidalgo. Walk another 3 blocks and you will see Alfredo R Plasencia street at your right. The hostel is located a few steps away that street.